Cabinet/Bookshelves #6: The devil is in the details... for real! So Sunday I had planned to put some moulding details on the doors, so they wouldn’t look so plain. 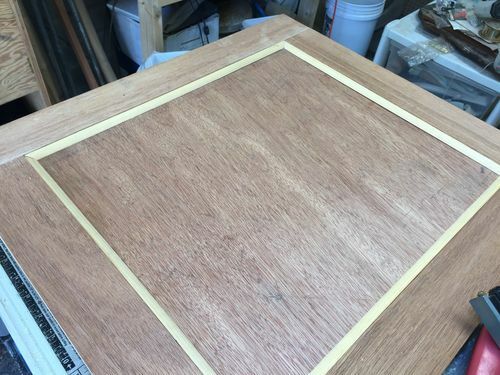 I wanted to put a 1/4” quarter round around the inside of the door panel, and 1/2” half round set about 2” inside of that on the panel to give a little detail to break up the plain-ness of the doors. 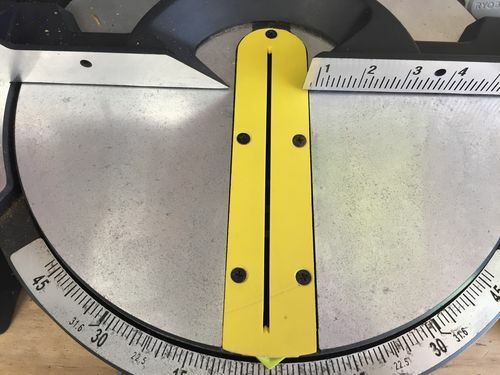 So I put my 1/4” quarter round in the saw, and my initial cut went fine, but my second cut (cutting the moulding to final length), shattered the end of the piece. Thinking I had not been paying attention, I proceeded to cut a second piece. When exactly the same thing happened, I needed to step back and evaluate what was happening. I soon realized what was up! 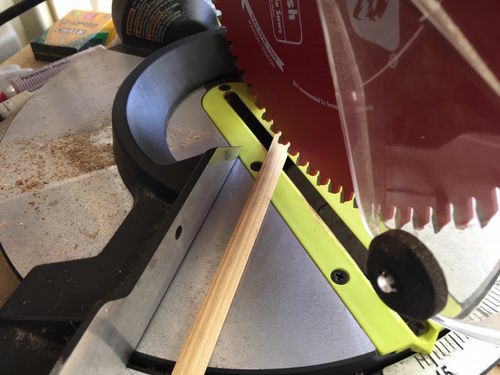 The gap on throat plate of the chop saw was about twice the width of my 1/4” moulding. The end of the moulding was hanging out in space during and after the cut, and at some point tear-out from the teeth of the chop saw was causing the moulding to shatter! 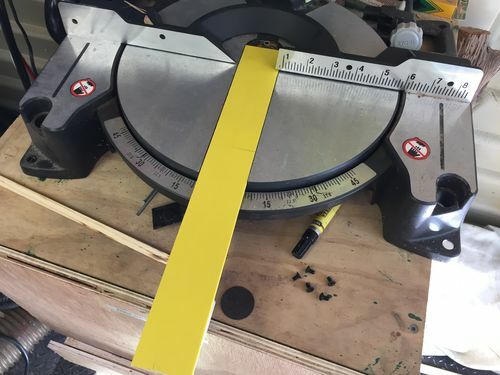 So now I have to stop what I was doing, and make a zero clearance plate for the chop saw. The gap of the original plate can been seen in the photo above. 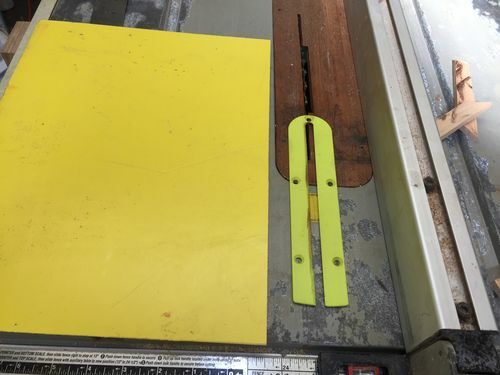 So I dug out my trusty yellow foam, and removed the original throat plate, and used it as a template for the zero clearance plate. 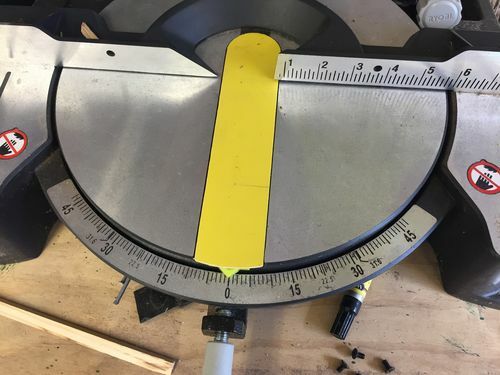 Having cut a strip to width and checked that at the chop saw, I then used a utility knife to cut the circular end. That’s the beauty of this yellow foam, you can cut it with a knife for really intricate shapes. 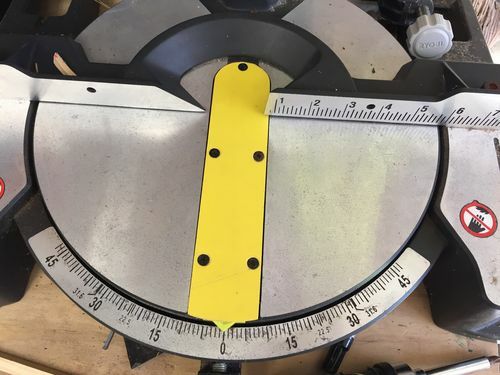 Checked the fit after cutting the circular end, and TA-DA!!! Prefect fit. God bless yellow foam! So all that remained was to drill and counter sink the holes, and screw it into place. 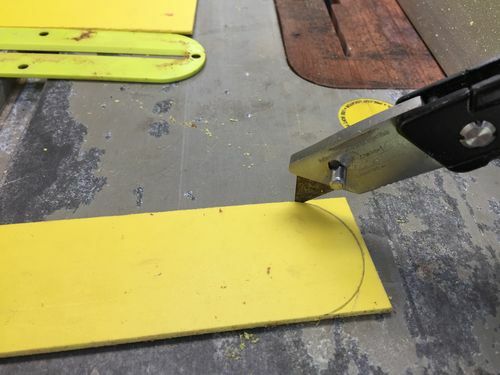 Having done that, it only remained to bring the saw down through the yellow foam. We now have a zero clearance plate and I can finally return to the original job at hand. 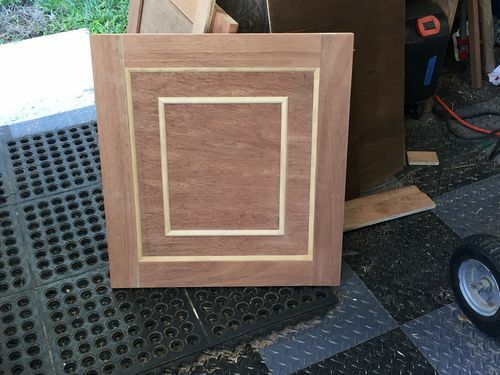 Unfortunately, I had ruined two pieces of my 1/4” quarter round, and while I had bought enough to door the two doors, it was not enough to make up for the loss of those two pieces, so I would only get to do one door today. The other door will need to wait until after my next trip to the big box lumber department. The rest of the day’s progress went smoothly, and the details were added to the one door, and the results were very pleasing. 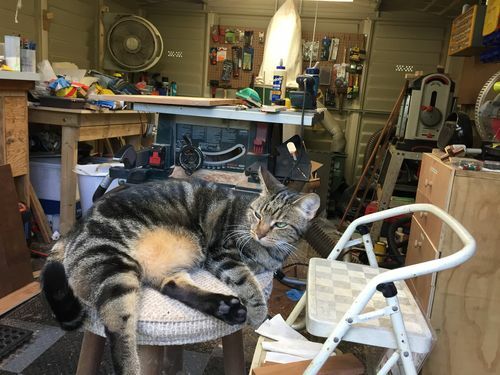 I was of course supervised by the ever present Alys, the workshop kitty. Just out of interest where do you but materials? You may want to close up the back as well. Its simply a matter of fixing a piece completely across the back and cuting it to suit. 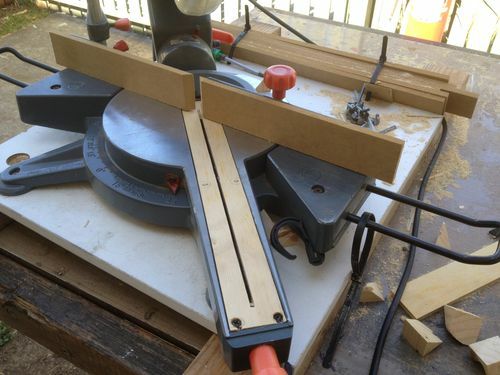 Make a few blanks (as they will get hacked apart with each different angle) and stash them behind the saw! Yes I plan to make those backer boards as soon as I start to cut my base and side boards. I buy all my wood material at a local big box store called Gorhams. It is affiliated with True Value.